Paris (AFP) - President Alassane Ouattara on Thursday said he would "not send any more Ivorians" to the International Criminal Court in The Hague, where his longtime rival Laurent Gbagbo is currently on trial over deadly violence sparked by disputed 2010 polls. 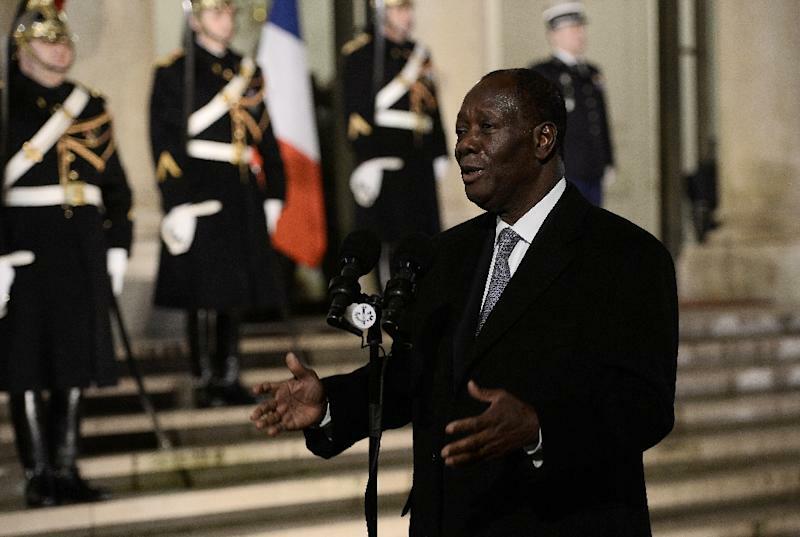 Speaking during a meeting with his French counterpart Francois Hollande in Paris, Ouattara said Ivory Coast now had "an operational justice system". More than 3,000 people were killed in five months of unrest after the 2010 presidential polls, when ex-leader Gbagbo refused to concede defeat to Ouattara. Gbagbo and his former militia chief, Charles Ble Goude, who is also on trial, deny four charges of crimes against humanity over the violence. None of Ouattara's supporters have so far been charged by the ICC, prompting accusations by Gbagbo's camp of "victor's justice". But Ouattara dismissed the charge. "I don't know what that means, 'victor's justice'. Justice is the same for everyone." Speaking about the ongoing trial, he said Ivorians wanted the truth to come out. "Many are those in Ivory Coast who believe justice must be done. The sooner the better," he told reporters. But he added that future proceedings should take place in national courts in Ivory Coast. "I won't send any more Ivorians to the ICC," he said. "The ICC played the role it had to. After the electoral crisis, we had no justice system, the country was in tatters," he added. "Now we have a justice system that is operational and that has begun to judge everyone without exception. These trials will begin very shortly and I hope they will move faster than the ICC." ICC prosecutor Fatou Bensouda last week told judges at the court that her team was also investigating the pro-Ouattara camp over the violence, and pleaded for patience.